SCHOOL BUILDINGS: After the 2012 massacre at Sandy Hook Elementary School that killed 26 people, the NRA launched its School Shield program that offers to review and assess school properties and identify ways to make them harder to penetrate by a would-be school shooter. Among the thoughts are fewer entrances and exits, ensuring the administration offices are within sight of the main entrance to quickly see who is entering, fewer shrubs and trees up against the building, bulletproof windows and doors, and the ability to lock a classroom from inside the room. ARMING EDUCATORS: President Donald Trump, the NRA and, most recently Texas Lt. Gov. Dan Patrick, all have said that having armed and trained educators would allow a school gunman to be confronted sooner and prevent mass casualties. The president has also suggested paying bonuses to teachers willing to undergo training and carry a firearm on campus. Some law enforcement experts caution that arming teachers isn’t practical and can create its own host of problems — from bad decisions about when to shoot to leading to PTSD for educators who find themselves in the situation. Law enforcement officials also say it could lead to confusion for officers responding to a shooting and not knowing who the bad guy is. RITALIN: The NRA’s incoming president, retired Lt. Col. Oliver North, recently blamed school shootings on the drug Ritalin, which is used to treat attention deficit hyperactivity disorder. His comments came in the days after the Santa Fe, Texas, school shooting. However it’s not known if the suspect in that case had been prescribed that drug or was using it. VIDEO GAMES: North and others also have blamed a “culture of violence” and specifically video games that they say breed violence and encourage school shooters. 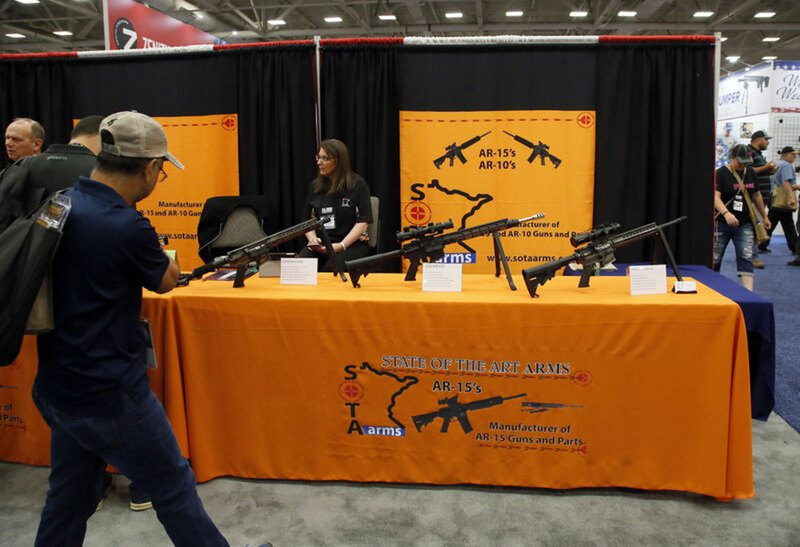 MENTAL HEALTH: The NRA has sent mixed messages on how it believes the U.S. should address mental health and the possession of firearms.